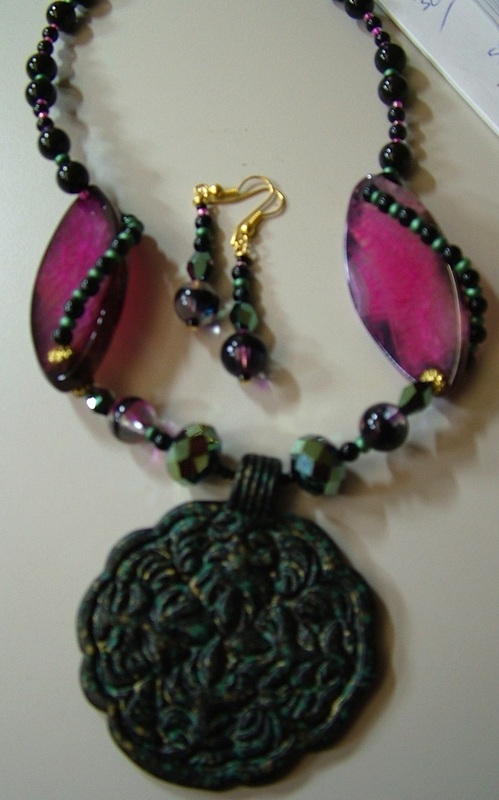 Metal pendant highlighted with two beautiful pink agate and set with crystals and glass beads. With matching earrings. Size small/ medium.